We have a range of rapid deployable CCTV alarm systems for empty and void properties, for uses internally or externally. 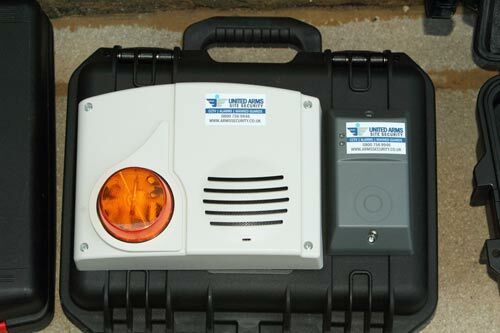 We supply and install a rapid deployable alarm and CCTV system for empty or void properties, residential, commercial, remote sites and construction, the units require no mains power or telephone lines and are linked to national alarm monitoring station, who can views the images from the CCTV Camera to verfiy an intrustion and guarantee and police or mobile response visit. Theses wireless units can be deployed in empty properties without damage and prices start from just £119 per weel , ideal for properties which are empty for short of or long periods of time which faces a risk from squatters or theft, our systems are IP67 and can operate just as well in external areas as well as internal. We can set up an external monitored alarm systems within 30mins, our motion detector alarms, have built in cameras with night vision, we record 10 seconds of video if an intrusion is detected, with external cameras mounted on our rapid deployable 10ft poles they are ideal for external and remote applications such as construction sites. We also supply and install high quality High Definition 3 Megapixel CCTV Cameras with bull horn speakers. 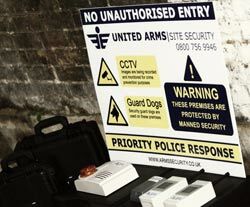 Video motion boxes would provide alarms to the monitoring station and upon verification of an unauthorised intruder, the Police and our local response units would attend site immediately. For a free quote or to see how quickly we can setup up a CCTV security system for you call us on 0800 756 9946. Your site will be monitored by a category level 5, NSI Gold accredited monitoring station. The cost of monitoring is included in our proposal. Our monitoring centre has Police authorisation response status, in addition to this we include a mobile respone and the cost of callouts - all included in our proposal. 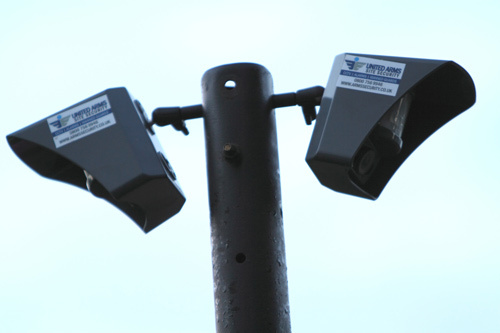 We carry out the full installation of the CCTV system, along with bull horn speakers. No installation costs or any upgront costs on our CCTV system. Our CCTV camera system currently monitors 800 lives sites throughtout the UK, and is saving our clients on average of 70% of security guarding costs.